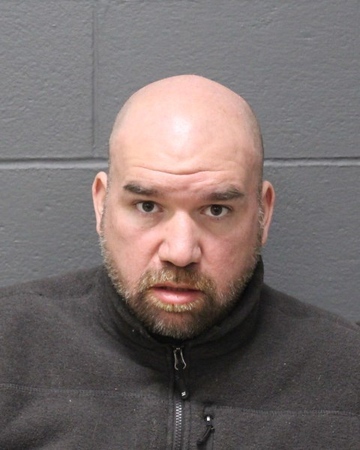 SOUTHINGTON – A Southington man was arrested after allegedly rummaging through someone else’s mail and making threatening statements to her. Christian Bedard, 43, was arrested by Southington police on March 21 and charged with carrying a dangerous weapon, second-degree breach of peace and simple trespass. According to Southington police, Bedard went to a home on Surrey Lane. Bedard knocked on the door, went through the resident’s mail that was in the mailbox and then started mumbling threatening statements toward the resident. The resident captured the incident on a home security camera, police said. Bedard also sent the resident a Facebook message earlier in the day threatening her, police said. It isn’t clear if the suspect knew the resident. Police said they responded to the residence and located Bedard nearby. He appeared to be intoxicated and was found in possession of a knife, the report indicated. Bedard is due in Bristol Superior Court on April 18. He remains in custody on $150,000 bond. Posted in New Britain Herald, Southington Herald, New Britain on Tuesday, 26 March 2019 20:45. Updated: Tuesday, 26 March 2019 20:47.